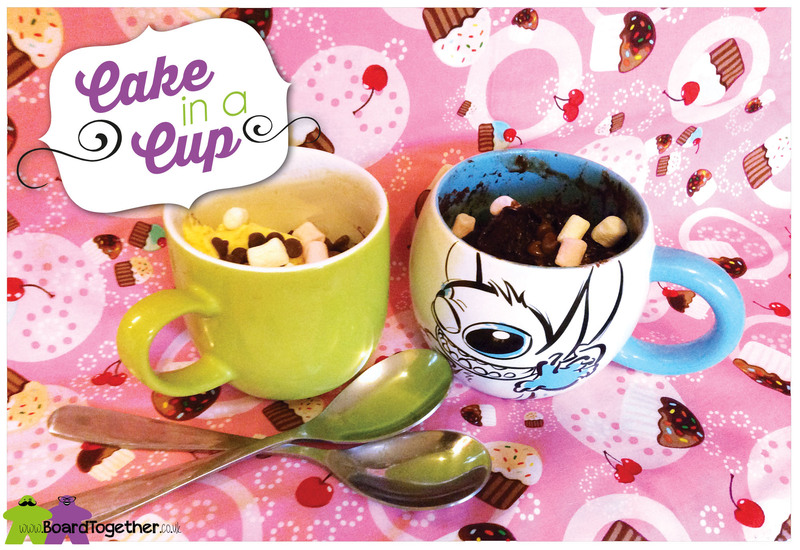 This recipe does what it says on the tin, it is a fantastic chocolate cake in a cup that you cook in the microwave. Yummy chocolate cake in less than five minutes. 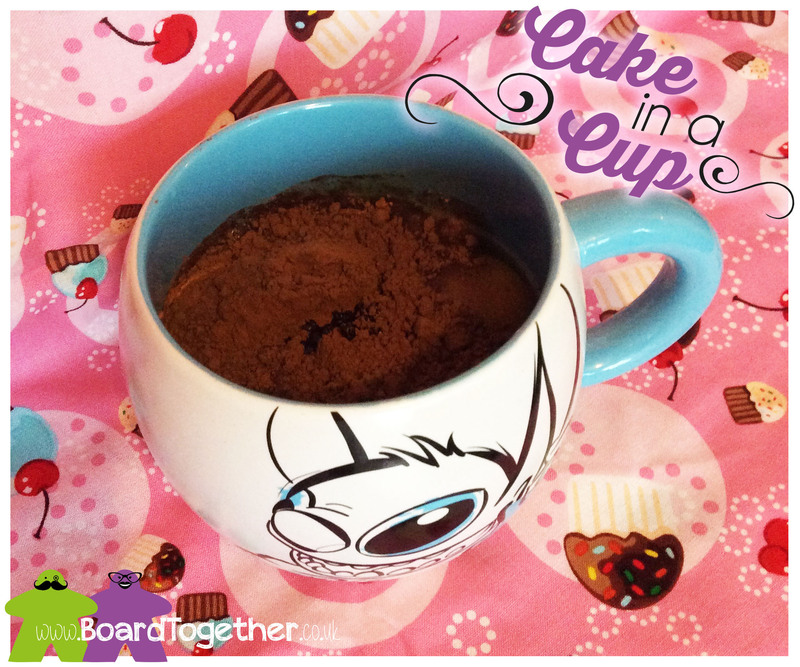 In-fact we have this recipe on a post-it note stuck to the wall and have nicknamed it The Naughty Cupcake! We make this when we don’t have any pudding but really fancy something sweet. 1, Put all the main ingredients into a large mug – we are talking the large/Venti Starbucks mug size here! I just happen to have an adorable Stitch Mug. 2, Whisk it all up so it is all mixed together. 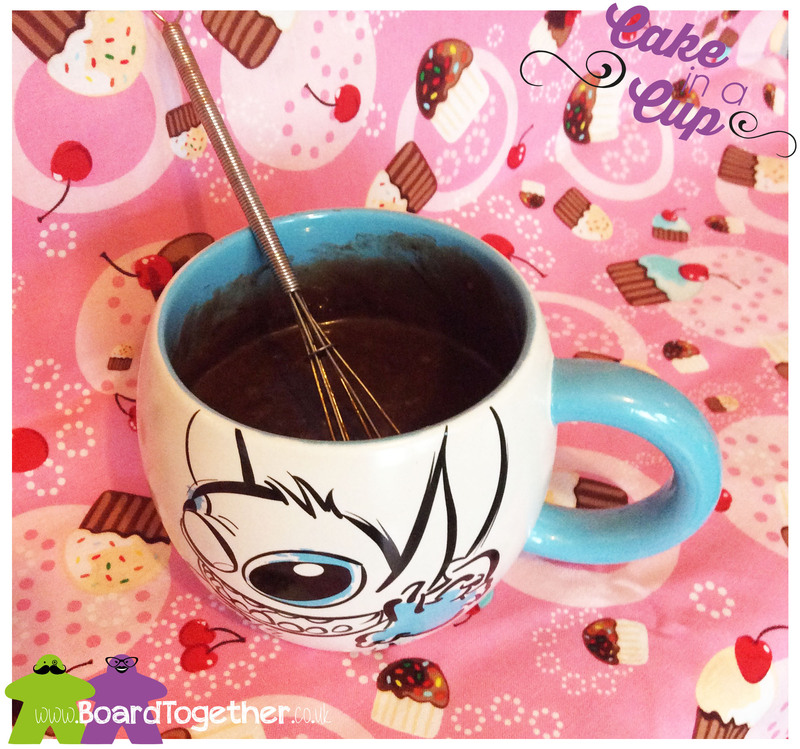 We have a cute little whisk that came with a hot chocolate mug set that was all the rage a few years back, but a fork would do just as well. 3, Pop it in the microwave and cook on high heat. Now, tricky part, we have a 1000W microwave and 1 minute 40 seconds is perfect. You may need to experiment. You know this cake is done when it rises out of the cup and tries to bust down the microwave door. Seriously, these cakes do try to get out the mug, so you know it is cooked when it stops growing. 4, Carefully take out of microwave, it will be hot, and the cake will sink back into the mug. We then divide the cake between two mugs. 5, Add chocolate chips now, whilst the cake is hot the chips will melt into gooey chocolate goodness. 6, Now you can go crazy with toppings, we love a dash of Irish Cream, Ice Cream and Mini Marshmallow, but it is up to you!! Have fun, and please do let us know your favourite toppings in the comments below.